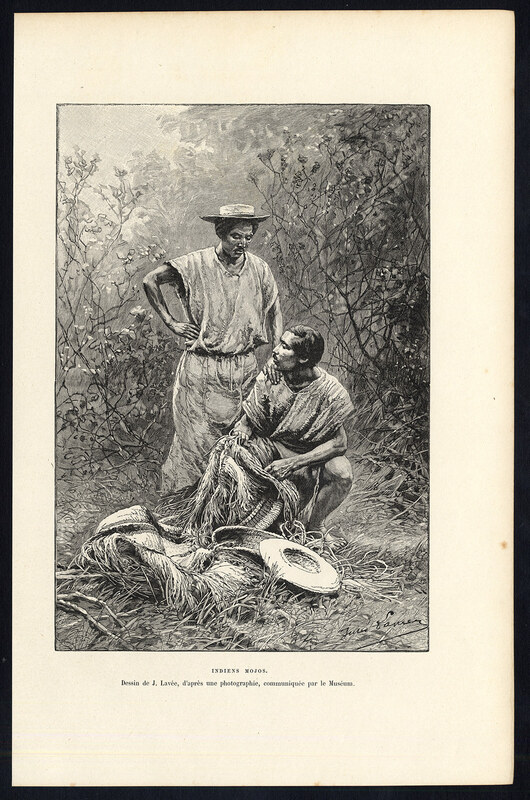 Subject: Plate : 'Indiens Mojos.' (Mojo Indiens or Moxos, Bolivia). Size (in cm): The overall size is ca. 17.5 x 26.5 cm. The image size is ca. 13 x 20 cm. Size (in inch): The overall size is ca. 6.9 x 10.4 inch. The image size is ca. 5.1 x 7.9 inch. Artists and Engravers: Jacques Elisee Reclus was a renowned French geographer, writer and anarchist. He produced his 19-volume masterwork La Nouvelle Geographie universelle, la terre et les hommes ('Universal Geography'), over a period of nearly 20 years (1875 ï¿½ 1894). This plate after J. Lavee.